Nintendo has been on a roll lately. In just over a year, the Switch has outsold the Wii U and is on track to be Nintendo’s best selling console ever. The company just reported that its profits are up by 500 percent thanks to the console/handheld hybrid, but the Switch is not the only thing propelling Nintendo to record revenues. Retro gaming consoles have contributed heavily to the company’s bottom line. The NES and Super NES Classic mini consoles were hot items that flew off shelves faster than they could be produced. The consoles were so popular in their short runs that Nintendo decided to give the NES another shot starting on June 29 and selling through the end of the year. Along with the re-release of the NES Classic, Nintendo will also be launching a Famicom Mini in Japan. The Famicom was the original Japanese version of the NES, which released in Japan two years before the Nintendo Entertainment System’s North American debut in 1985. Nintendo previously released a Famicom Mini in Japan back in 2016. That version had the same games as the NES Classic sold in the US. This time the tiny console will come with manga-themed titles. The 20 preloaded games include Dragon Ball, Saint Seiya, Kinnikuman, and Fist of the North Star just to name a few. The manga-centric titles are no coincidence since the console is being released in celebration of the 50th anniversary of the best selling Japanese manga magazine Weekly Shonen Jump. Crunchyroll has a full list of titles loaded on the system. 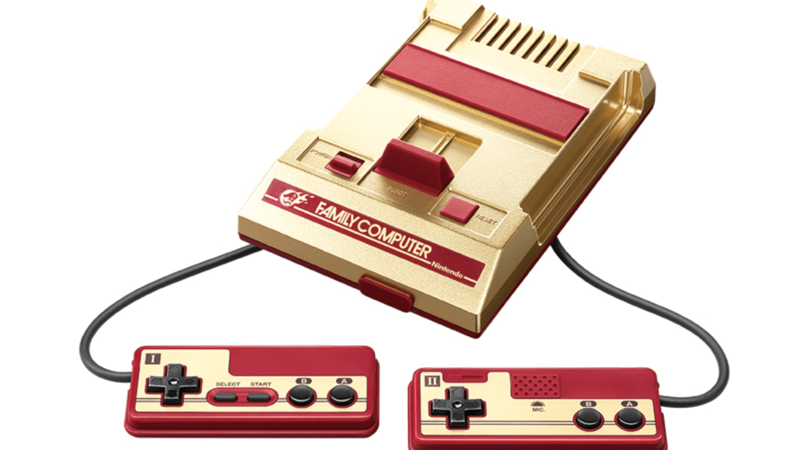 The the gold and red Famicom Mini goes on sale July 7 in Japan. There are no plans to release it internationally at this time, but you may see listings for it pop up on eBay for exorbitant prices shortly after launch.